Brian Gluckstein is renowned for creating luxurious interiors that have a comfort level unmatched in the industry. 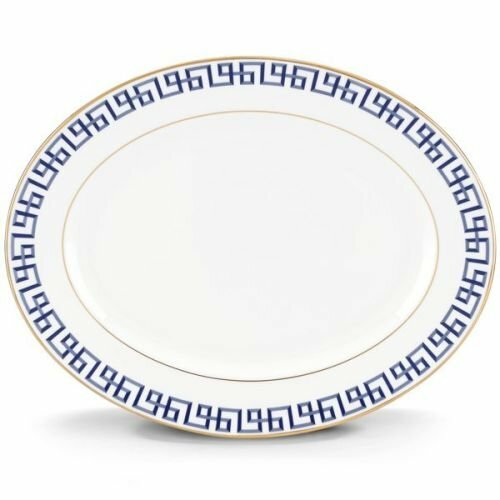 The Darius Gold Oval Platter is a reflection of that signature style, trimmed in a dimensional meander pattern of blue tones lined in shimmering gold. Sophisticated and unique, Darius Gold dinnerware is a design statement for your table.